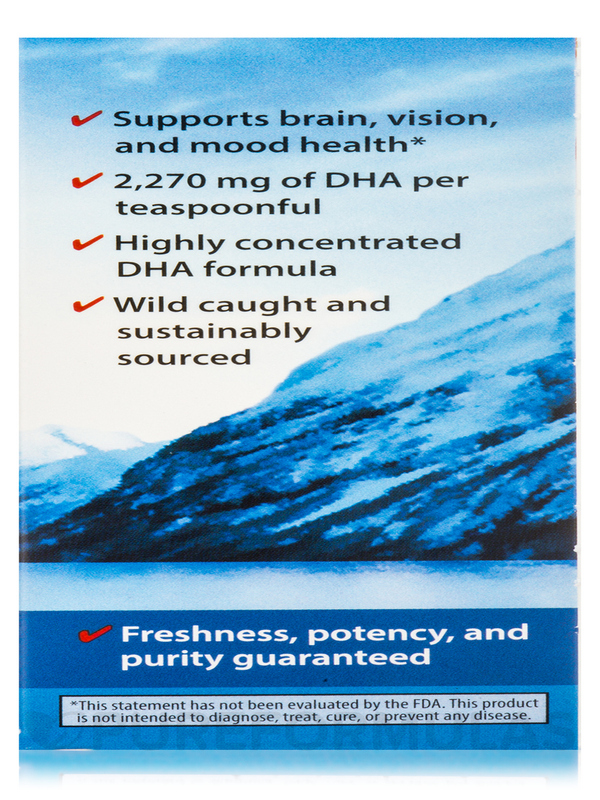 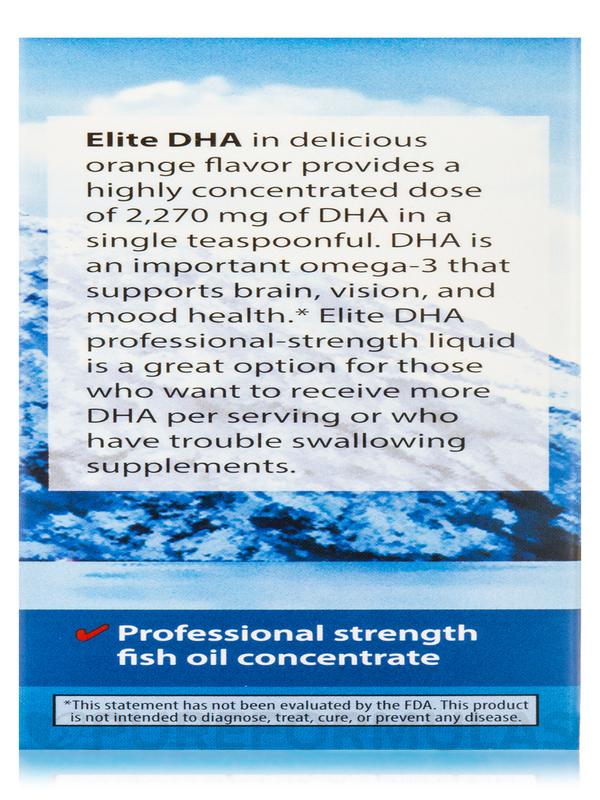 Elite DHA in delicious orange flavor provides a highly concentrated dose of 2‚270 mg of DHA in a single teaspoonful to support brain‚ vision‚ and mood health. 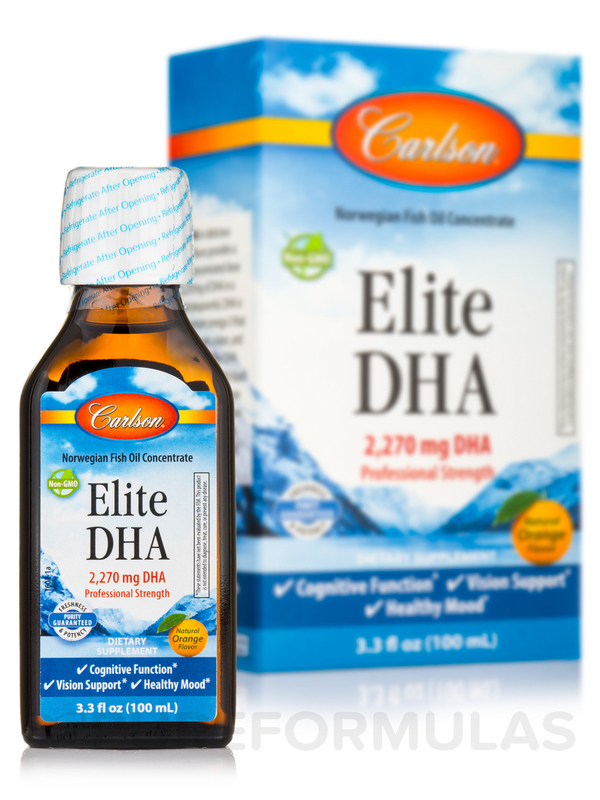 DHA is an important omega-3 for people of all ages‚ especially for women who are pregnant or nursing. 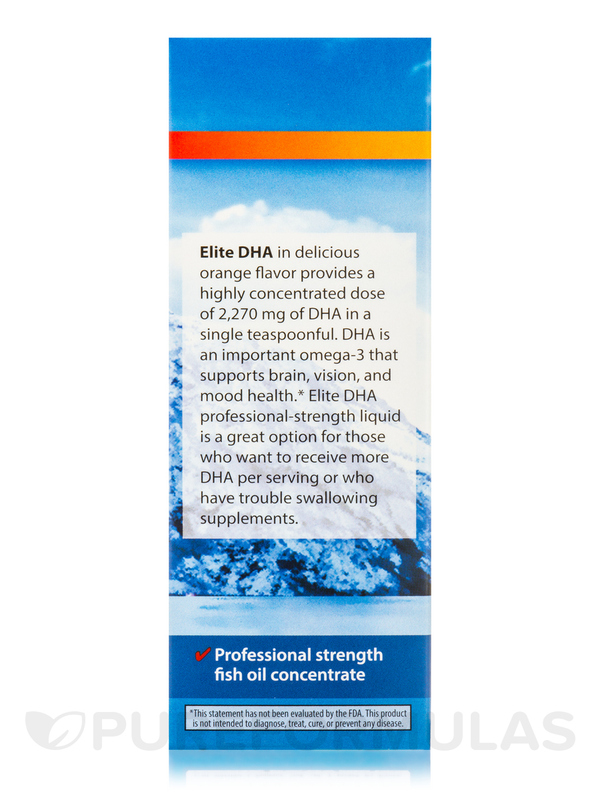 Elite DHA professional-strength liquid in rTG form‚ is a great option for those who want to receive more DHA per serving or who have trouble swallowing soft gels. 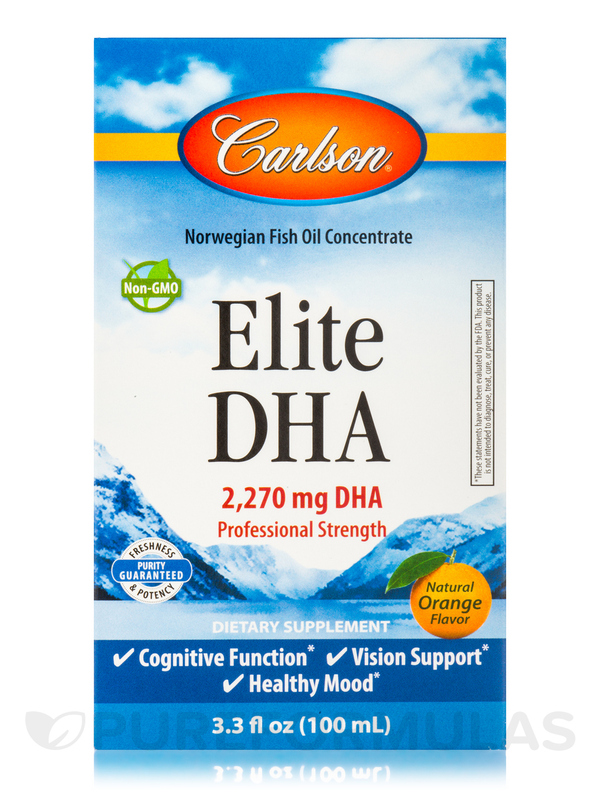 To ensure maximum freshness‚ Carlson Elite DHA is closely managed from sea to store and tested by an FDA-registered laboratory for freshness‚ potency‚ and purity. 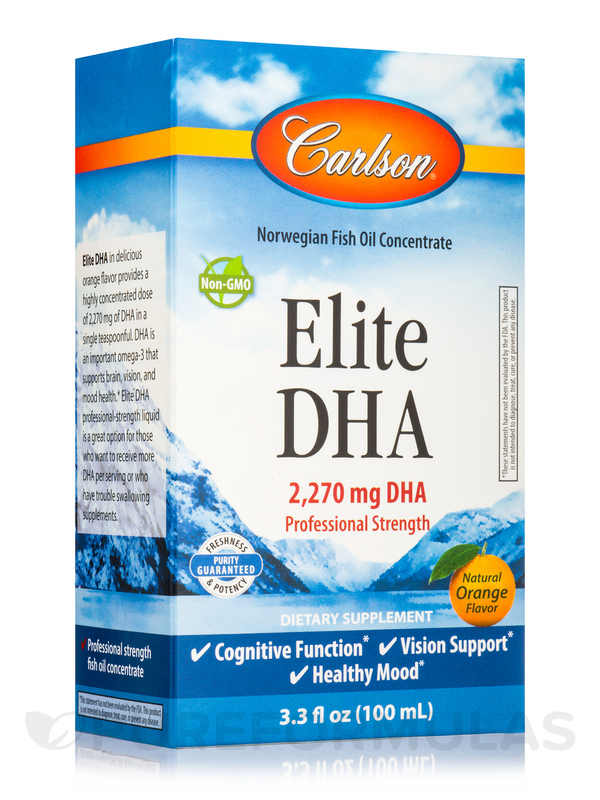 Elite DHA is bottled at Carlson Healthy Oils‚ an eco-friendly‚ modern facility off the coast of Norway in an area where marine oil production dates back more than 130 years. 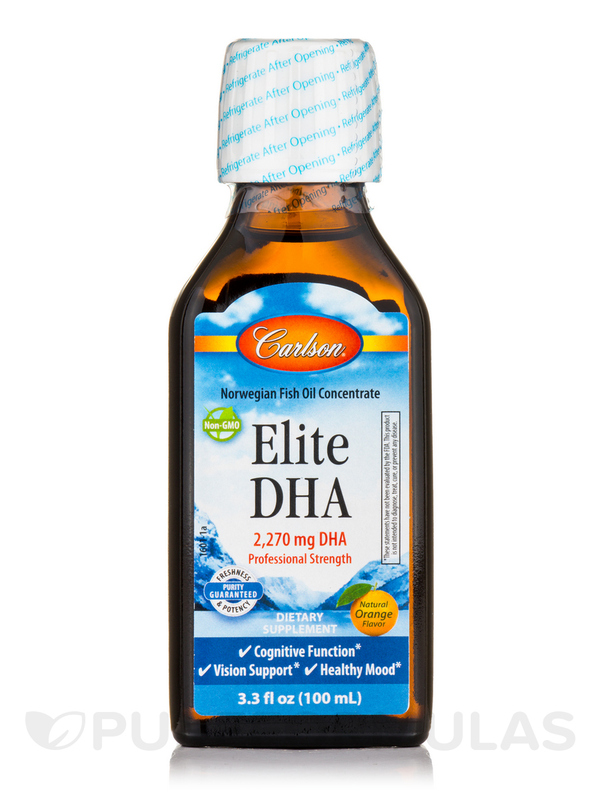 **Percent Daily Value (DV) based on a 2‚000 calorie diet. 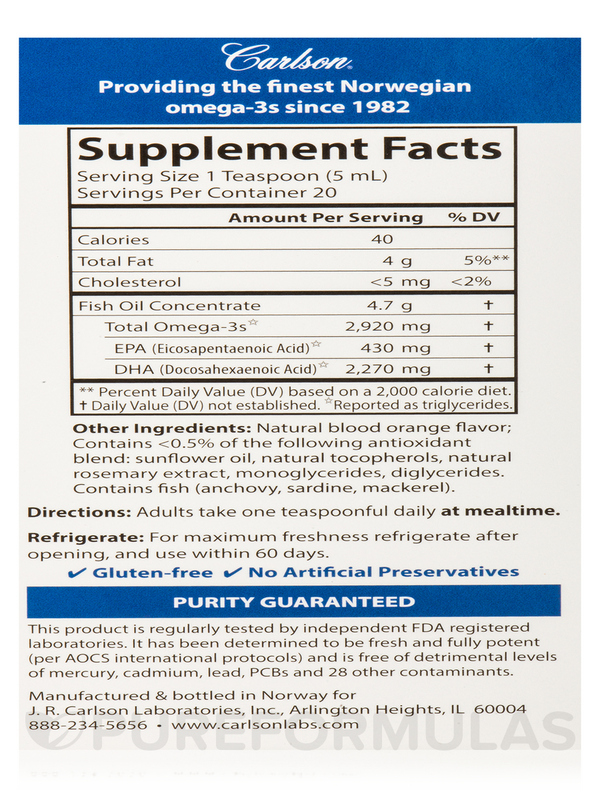 Other Ingredients: Natural blood orange flavor; contains <0.5% of the following antioxidant blend: sunflower oil‚ natural tocopherols‚ natural rosemary extract‚ monoglycerides‚ diglycerides. 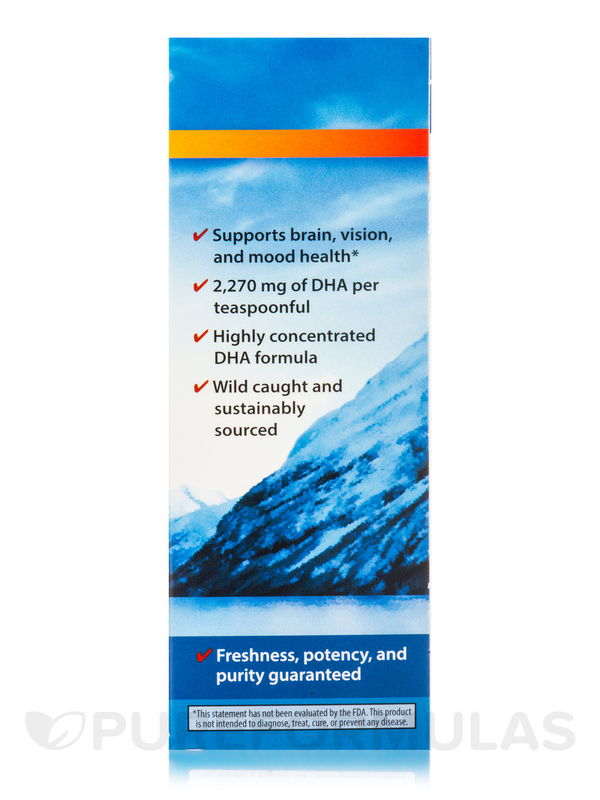 Adults take one teaspoonful daily at mealtime. 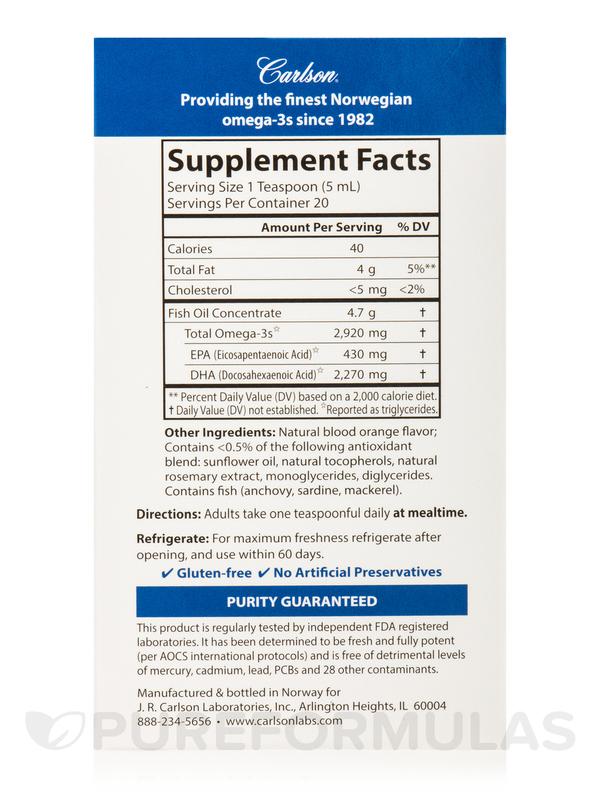 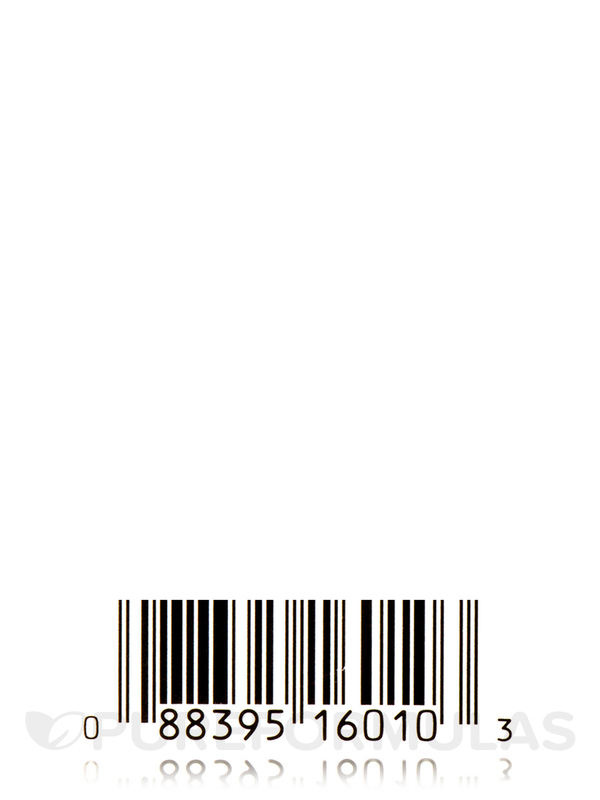 For maximum freshness refrigerate after opening‚ and use within 60 days.